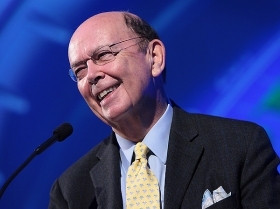 Wilbur Ross: His supplier, IAC, took over businesses of 12 insolvent suppliers in the past year, adding more than $100 million in sales. DETROIT (Bloomberg) -- The recovery in U.S. auto sales from the lowest in almost three decades may spur a wave of supplier acquisitions, drawing interest from hedge funds, private- equity investors and rival manufacturers after a two-year slump in deals. Johnson Controls Inc.'s $1.25 billion offer for bankrupt Visteon's electronics and interior businesses announced May 21 is the largest by a supplier this year, according to data compiled by Bloomberg. BorgWarner Inc. and Carl Icahn's Federal Mogul Corp. say they are seeking acquisitions, and Wilbur Ross's WL Ross & Co. says the takeover environment is improving. “Companies that spent the last 18 months cutting costs in a panic are finally taking a breath and looking at things strategically again,” said John Casesa, an analyst at Casesa & Co. in New York. The acceleration in auto-parts mergers and acquisitions would come after two years that, excluding government bailouts, were the slowest since 2005. The number of deals in 2010 may rise as much as 25 percent from last year and be the highest since 2007, said Paul Elie, U.S. automotive transaction services leader for PricewaterhouseCoopers in Detroit. The number of auto parts deals peaked at 338 acquisitions completed in 2007 before falling to 294 in 2008 and 161 last year, according to data compiled by Bloomberg. The value of the mergers in the past two years, excluding government-sponsored deals involving General Motors Co. and Delphi Inc., was less than $18 billion a year after the 2007 peak of $46 billion. The expectation that U.S. auto sales are recovering from a 27-year low in 2009 is attracting private equity and hedge fund investors, said Dietmar Ostermann, a director for consulting firm PRTM in Waltham, Mass. Assets from companies such as former General Motors unit Delphi Corp., French interior supplier Faurecia, Lear Corp. and ArvinMeritor Inc. may be targets, he said. Other Visteon assets such as the lighting unit are attractive, Ostermann said. The largest deal announced this year involving a supplier on either side of the transaction was TPG Capital's $1.3 billion offer for American Tire Distributors Holdings Inc. on April 21. The most active private equity firms in the last three years, when there were 215 automotive investments, included Carlyle Group, Cerberus Capital LLP, Kleiner Perkins Caulfield & Byers and Rockport Capital Partners, according to a PRTM study. PRTM expects merger activity to rise this year, Ostermann said. Federal Mogul CEO Jose Maria Alapont said his company, which emerged from bankruptcy in December 2007, is scouting deals larger than $100 million. The maker of pistons and spark plugs has about $1.5 billion in cash and securities and a renewed ability to tap equity markets, he said. Federal Mogul is looking at buying companies that make parts for hybrid and electric cars and that control emissions or enhance safety, he said. Private equity and hedge funds may repeat historic trends of paying higher prices because they have easier access to capital, Alapont said. The biggest risk this year is that market losses and concerns about debt sparked by the European bailout of Greece will restrict deal activity, Alapont said. BorgWarner has a 50 percent chance of making an acquisition this year, said CEO Tim Manganello. The targets may include suppliers still struggling with profit or units for sale from individuals or conglomerates who want to exit the industry, he said, declining to identify specific companies. “Beginning now and probably for the next two or three years, there will probably be a much greater rate of MNA in the auto industry,” Manganello said. Buyers overpaid in 2006 to early 2008 and that will make potential acquirers now more cautious, Manganello said. The size of the acquisitions will also be smaller, with deals in the $350 million to $500 million range, he said. BorgWarner, based in suburban Detroit, will limit itself to deals that add to earnings, allow it to maintain investment-grade credit ratings and keep its debt at 35 percent to 40 percent of total equity, from a ratio of less than 20 percent now. General Motors Co. in January proposed selling its Nexteer power-steering unit, a $2.1 billion business it took back from its former unit Delphi as part of the supplier's bankruptcy restructuring. The business has 6,200 employees and 22 plants. U.S., Chinese and South Korean parts suppliers and private-equity companies are among potential buyers for the unit, said two people familiar with the talks. They didn't name the potential bidders and didn't want to be identified because of non-disclosure agreements. A GM spokeswoman, Kim Carpenter, declined to comment on the Nexteer sale. Merger activity in the auto supplier industry has run in waves. The dozen largest U.S. suppliers at the time made 28 acquisitions in both 1998 and 1999, 22 in 2000 and 15 in 2001, according to data compiled by Bloomberg. Those deals were followed by the bankruptcies of Tower Automotive Inc., Collins & Aikman Corp., Delphi and other suppliers as the auto industry slowed down. There was another increase in 2006 and 2007 as lending loosened before the bankruptcy of Lehman Brothers Holdings Co. froze global credit markets. Johnson Controls said its takeover of the Visteon businesses would bring its revenue in China to more than $7 billion and expand its offerings for automotive interiors. Visteon said last week that the unsolicited offer lacks “important information and remains highly conditional and vaguely defined” and that it expects to have “further dialogue” with Johnson Controls. Industry-wide, acquirers are looking to buy at as low as 10 percent of asset values, and sellers want 60 percent to 70 percent, Ricci said. As the deals begin, buyers will still have more power and that may cause some companies to delay divestitures, he said. “It's still a buyer's market,” said Gabriel Becerra, an associate in business development at OpenGate Capital LLC in Los Angeles. The $500 million private-equity fund, which owns TV Guide magazine, bought ArvinMeritor's Gabriel North America shock-absorber and strut business in June 2009 for an undisclosed sum. The fund, which hadn't made an automotive deal before, is considering the U.S., Mexico and Europe for additional opportunities and may make another purchase this year, he said. Mergers will increase in the near term, Stephen Toy, a managing director for WL Ross & Co. LLC, said in response to e-mailed questions. “In North America, the stronger companies have fixed their capital structures and we believe they will now seek to narrow their product focus by adding to their core businesses, while shedding non-core, or under-scaled businesses,” Toy said. Ross's biggest auto business is IAC, the world's largest producer of automotive carpeting. The company was formed in 2006 in Europe and in North America in 2007. IAC, which runs its North American operations near Ford's world headquarters in Dearborn, Mich., took over businesses of 12 insolvent suppliers in the past year, adding more than $100 million in sales, Ross said in January. WL Ross reported new investments in Lear Corp. and Cooper Tire & Rubber Co. earlier this month. The strongest incentive for increased merger activity among auto suppliers, PricewaterhouseCoopers's Elie said, is the industry's longer-term outlook: 50 percent growth over the next half-decade.